The dynamics of divorce vary widely, and directly affect the ability of a couple to effectively communicate and share pertinent information needed to conclude the matter. Spouses with less knowledge about the specific assets the other party owns separately, or property they own together, make it much easier to conceal the full extent of the marital holdings in divorce. 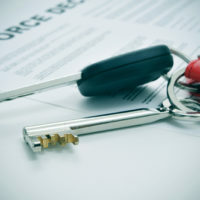 The law requires divorcing couples to fully disclose all their assets and liabilities so a fair and equitable division of property can be determined. However, some spouses will try to conceal or dispose of marital assets in order to keep a greater percentage of the collective financial resources. For obvious reasons, this type of behavior is not condoned, and will bring consequences if discovered. The wife of musician and entrepreneur Vanilla Ice recently has alleged he is hiding millions in assets as they go through a highly contested divorce, and has requested an injunction to keep him for selling any additional properties. Hiding information essentially acts as a fraud on the court, and can bring contempt charges, so it should not be taken lightly. A discussion of methods frequently used to detect and prove the concealment of assets, and how this behavior impacts the outcome of divorce, will follow below. the purchase of new real estate to hide large amounts of cash. deposing the spouse, a process conducted under oath and in the presence of a court reporter, where the attorney can ask detailed questions to find inconsistencies or falsehoods. Florida, being an equitable division state, permits courts to deviate from an equal division of marital property if justice demands such a result. Consequently, attempts to hide assets could result in the innocent spouse receiving a larger share of the marital estate and/or receiving an attorney fee award to cover costs related to discovering concealment efforts. Additionally, a spouse who lies under oath or refuses to respond to a court order can be subject to civil contempt proceedings, which can bring substantial fines or even jail time. If you are unsure about whether your spouse is or would try to hide assets, you need an attorney experienced with complex financial matters in divorce. The attorneys at the office of Joyce A. Julian, P.A. have a thorough understanding of the financial issues at a stake in divorce and expertise in forensic accounting to help sniff out questionable dealings. 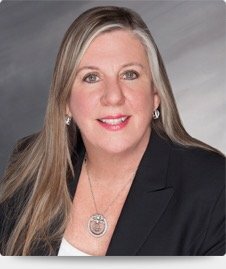 If you have questions about divorce, contact the Fort Lauderdale law firm for a free consultation.